Goalkeepers have always been a crucial part of any starting eleven. No team harboring strong ambitions to excel has managed to do so without the prowess of their shot-stoppers at the back. However, it is only a more recent trend wherein keepers are being given the economic remunerations they fully deserve for their services. This has gone to the extent wherein the no.1 jersey is often the marquee signing of a season for most clubs. Back at Real Madrid, Zinedine Zidane will be looking at bringing in a shot-stopping Galactico of his own. While several names have been doing the round, one, in particular, has made a steady comeback. 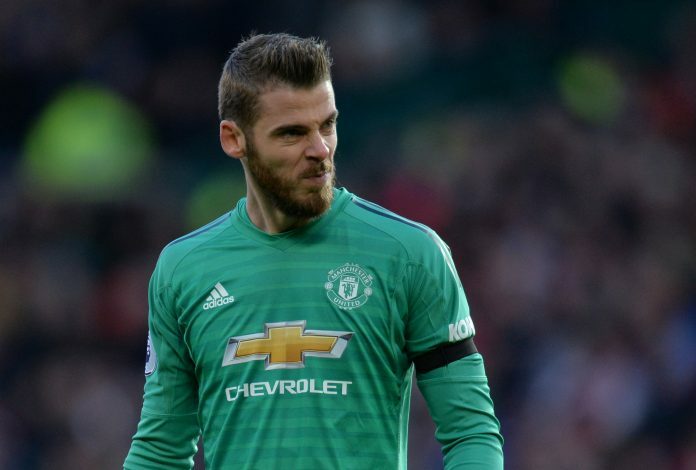 As per The Sun, Manchester United and Real Madrid were involved in talks involving a potential swap deal between their goalkeepers David De Gea and Thibaut Courtois. This comes as no surprise when one recollects that Los Blancos have been pursuing the Spaniard for years now, the saga coming to a close only when the Belgian keeper was procured from Chelsea last summer. At the same time, the relatively short duration of that tenure is what brings this claim to doubt, even if the deal did occur after Zidane had resigned at the start of this season. Now, the report adds that Courtois wasn’t willing to return to the Premier League, and snubbed the possible swap deal. It is believed that if the goalkeeper is indeed forced into an exit from the Spanish capital, PSG would be his preferred destination going forward. It is certainly intriguing that Courtois snubbed the opportunity, given how critical Madrid’s fans have been of him for the club’s recent woes. It is no secret that losing out on the Bernabeu crowd can often be a permanent affair. What will be the nature of this saga going forward?